This month, I learned a huge life lesson. I learned that while the world is not a wish granting factory, sometimes it opens a door for you to fulfill your own dreams as long as you work hard and don’t stop believing. But the path to walk to that door is not always easy. Apparently, challenges go hand in hand with opportunities. I had to strive if I wanted to make things happen. I realized then how important courage is. And how when you find the strength to summon it, to summon the courage to pursue your dreams, that effort will be requited soon enough. So here’s something to remember: Dream big. Work hard. Never miss an opportunity. 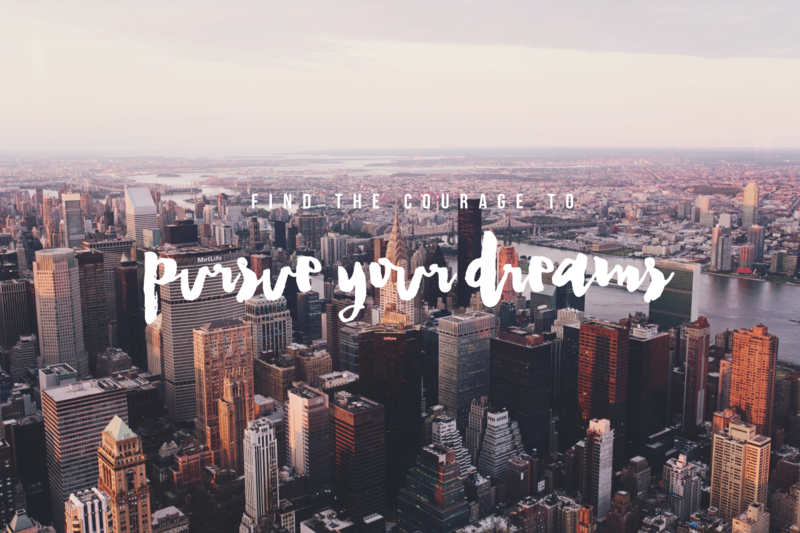 Find the courage to pursue your dreams. Thanks for this message – it’s brilliant and rings true. Challenges and opportunities do go hand in hand and courage is a blimmin’ big factor in all of this.